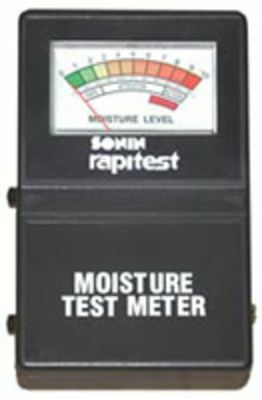 This moisture test meter is designed to alert users to possible moisture problems. The metal contacts at the end of a 3' coiled cable detect moisture present in difficult to reach locations. Extremely useful in water restoration, urine detection, etc.